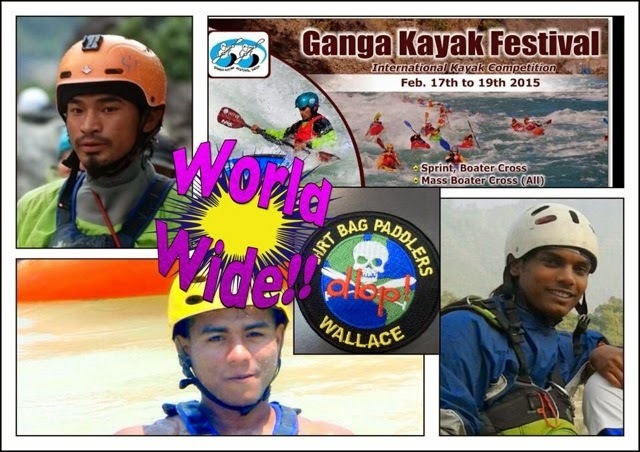 GANGA KAYAK FEST 2015: The Best Whitewater Festival in India by "Chicago" Mike Toughill | DBP MAGAZINE ONLINE The World's Best Free Whitewater Publication. 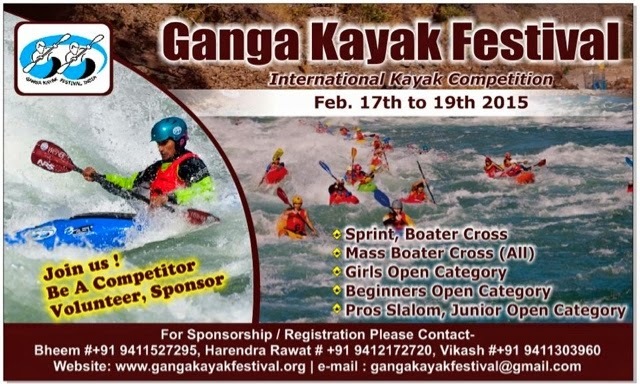 The Ganga Kayak Festival (GKF) is an annual kayaking festival in Northern India on the river Ganges in Rishikesh, Uttarakhand. GKF is the brain child of a much travelled and adventure enthusiast, paddler Bhupendra Singh Rana (Bhupi), who paddles both kayaks and rafts. 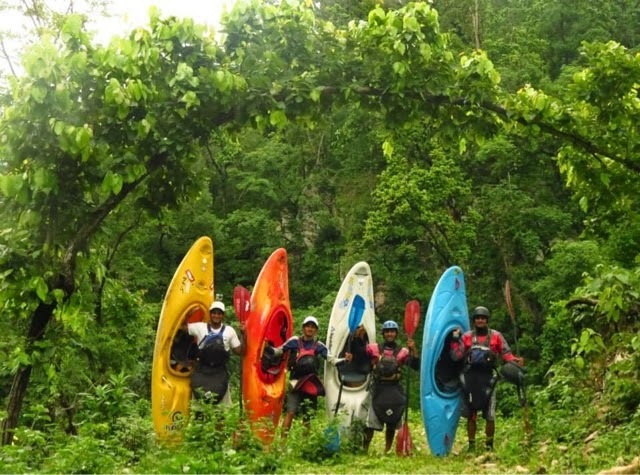 The festival was created by a highly dedicated team of professional kayakers and Whitewater raft guides from Rishikesh. After dreaming for years GKF finally come to a reality in Jan 2013 with the help of a team of passionate adventurers: Bhupi Rana, Bheem Chauhan, Vipin Sharma, Gappu Rawat, Vikash Bhandari, Bhuwan Bisht, Trina Paturas and countless volunteers, sponsors and supporters. 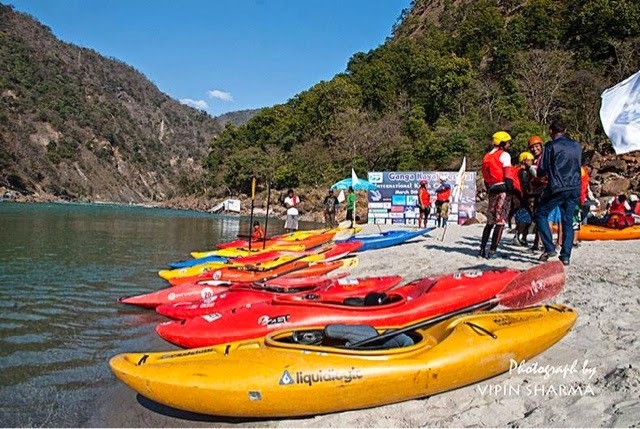 GKF has quickly become the largest kayaking festival in the country, growing to a 3 day event in less than 3 years. 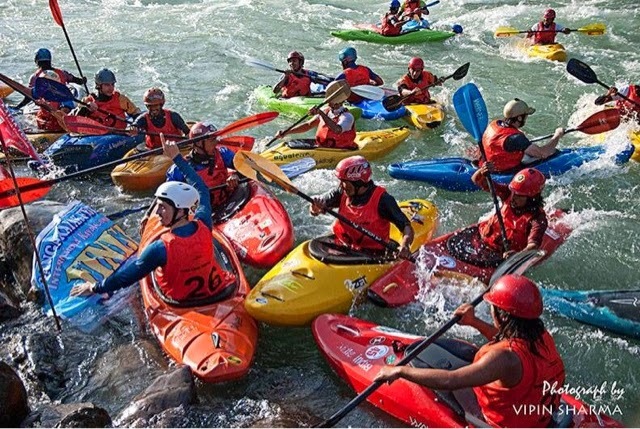 Many top companies have signed on as sponsors for this year’s event, the largest yet by far, including NRS, Sea Specs, and American Whitewater Expeditions. DBP MAGAZINE ONLINE is also stoked to announce that we have been named an official media outlet for the event. Rishikesh -The Gateway of the Garhwal Himalaya is one of the holiest towns in India based along the mighty river Ganga (known as the Ganges in America). The Yoga Capital of the World, it is a hub for Ashrams, meditation, yoga & massage therapy. The Beatles made the destination popular among westerners in the 60s, and it’s also a center for outdoor activity – rafting, kayaking, hiking, and backpacking. Members of the international Dirt Bag Paddlers will also be on hand, with some free stickers to give away as well as good cheer for all that The River brings together. 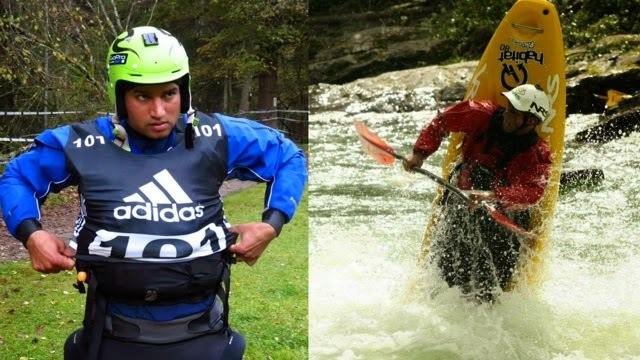 Please say hi to our Admins Deepak Rana and Vijay Pundir, both local raft guides from Rishikesh, Rozali Mohamad Saad, a paddler and festival organizer from Sungai Petani, Malaysia, and Surjan Tamang of Kathmandu, Nepal, who will be paddling in the competition. Our good friend Bhupi (event organizer) will also be in attendance, flying in from his home in Connecticut to host the event. GKF had 73 Kayakers from around the world who participated in the event last year, and organizers have categorized the 2015 event in different formats for all participants: Sprint, giant slalom, Boater Cross, and Mass Boater Cross races, with separate categories for pros, beginners, juniors and Women’s divisions. There are also awards for best Indian male and female paddler, best debut, and a Best photographer of year award. 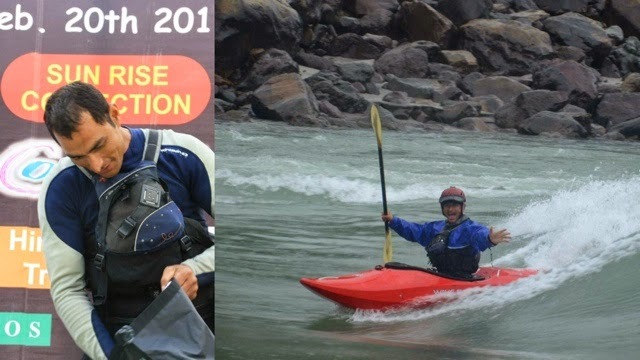 One awesome competitor is local kayaker Sunita Chauhan, the overall female champion of GKF 2014. 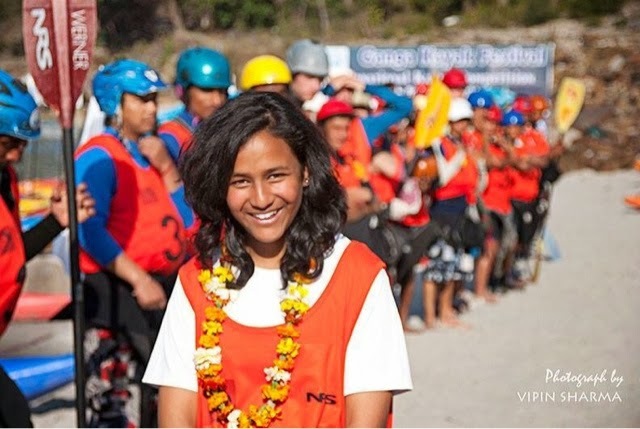 Sunita paddles and competes in races all over India, such as the International Kayaking championship last July at the Malabar River Festival, and the Aquaterra Challenge last December. She will be back again to race her home river this year. Rishi Rana (AKA Rafa): Rishi is from Sirasu, a little village on the bank of the river Ganga. Rishi is the youngest and one of the most impressive kayakers on the team. 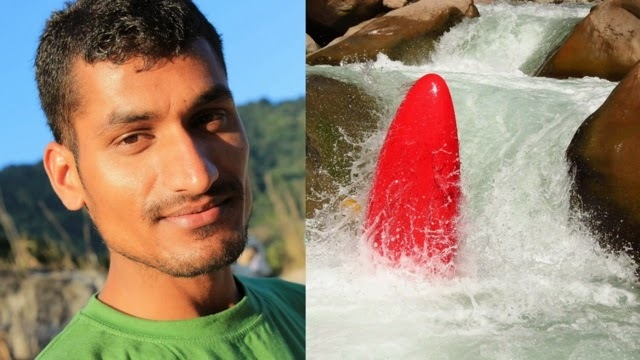 Recently his kayaking skills have grown to new levels that enabled him to be a part of the many river first descents including 1st D of Eastern Nayar, Arripara falls, Super slide etc. 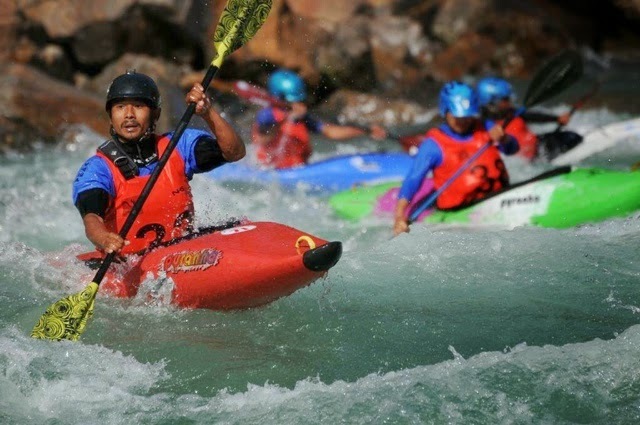 Bhupendra Singh Rana (AKA Bhupi): Bhupi has been competing around the world in a variety of kayaking events for the past 6 years in India, Norway, Austria, Uganda and America. He is one of Team GKF’s most experienced paddler who takes on a leadership role with the team. He is India’s national champion in 2011. Bhupi is a sponsored paddler for Team NRS and Dagger kayaks who has embarked on many first descents throughout India and the world. Bhupi recently become a India’s first and only Rescue 3 instructor for water and rope by Rescue 3 international, California, USA. Dinesh Pandey (AKA Dinu): Dinu is probably the most talented, hard working and very consistent paddler in the country today and probably has the most overall medals under his belt. 2. Overall Champion Ganga Kayak Festival 2014 Rishikesh, India. 3. Boater Cross Pros (3rd Place) Ganga Kayak Festival 2014 Rishikesh, India. 4. Sprint Pros (1st Place) Ganga Kayak Festival 2014 Rishikesh, India. 5. Men Canoeing & Kayaking (2nd Place) in 2nd National Canoe Polo Championships 2013-14 Bhopal, M.P. India. 6. Men (K-1 Slalom Race) Kayaking & Canoeing (2nd Place) in Second National Canoe Slalom Championships (Still Water) 2013-14 Bhopal, M.P. India. 7. Men (K-1 Team Slalom Race) Kayaking & Canoeing (2nd Place) in Second National Canoe Slalom Championships (Still Water) 2013-14 Bhopal, M.P. India. 8. 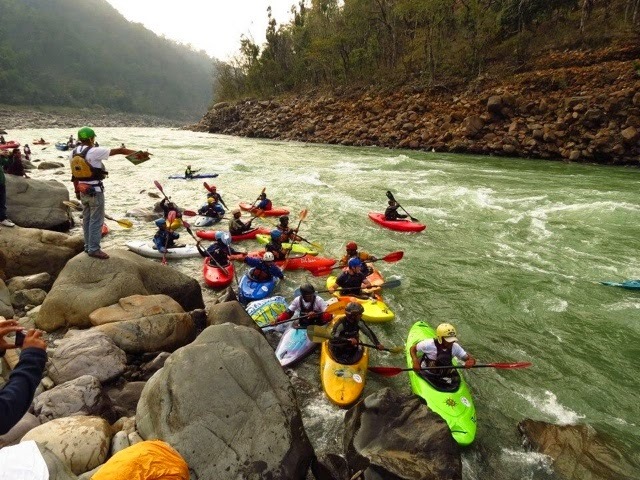 Boater cross (1st Place) Winter Whitewater Week 2014 Uttarakhand, India. 9. 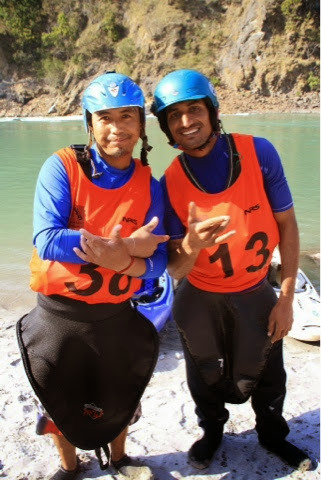 Slalom race (2nd Place) Winter Whitewater Week 2014 Uttarakhand, India. 10. Boater cross (1st place) in the Ganga Kayak Festival Feb 2013 Rishikesh, India. 11. Men (Canoe polo) Canoeing & Kayaking (1st place) in 34th National Games 2011 Jharkhand, India. 12. Men (K-1 Team Slalom Race) Canoeing & Kayaking (1st place) in 34th National Games 2011 Jharkhand, India. 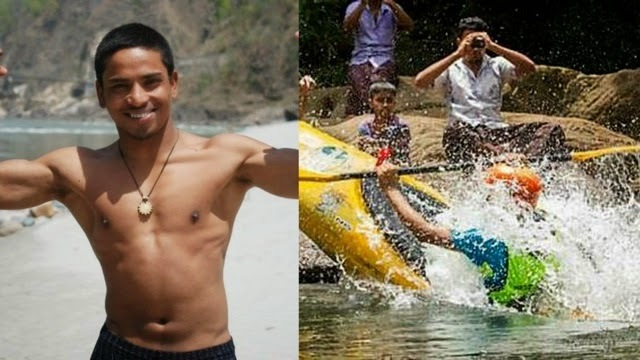 Ayodhya Prasad (AKA AP) AP is a most talented new face in the Indian kayaking world. He has recently started to take his career to explore some awesome places in his kayak and on a competitive level and has not failed to impress the crowds yet. He represented India in the freestyle world championship in Germany in 2011 and Adidas Sickline Extreme Kayaking World Championship in Austria 2014. He is the MRF overall champion in 2013, and placed 2nd overall at Ganga Kayak Festival 2013. He recently been part of the all India kayak trip with a British team of paddlers and they have done many first descents on rivers all over India. Kanha Chauhan (AKA Luka) – Luka was born and raised in a classic rafting/kayaking community in the Indian Himalayas called the Tons river valley. 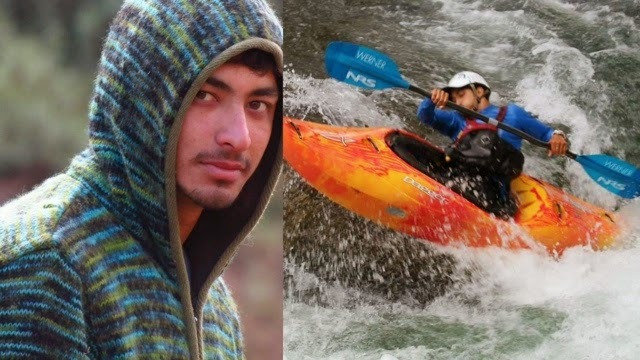 Luka is a powerhouse – his natural talent and kayaking passion make him one of the most experienced kayakers in the Indian kayaking community. 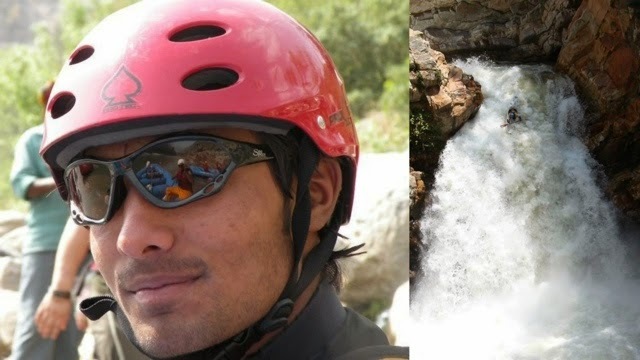 He has also been a part of the majority of India’s major commercial rafting and kayaking expeditions and 1st descents. Luka recently won the overall title at WWW in Uttarakhand and is in great shape. He is one of the crowds favorite for GKF 15. Race briefing: 12 pm First race starts: 1 pm Pre race registration: 1-2 pm (Feb 18th) for intermediate, juniors and women’s category only. Sprint (Pro’s): Starts from above the golf course rapid on the river left with a seal launch off the 6mtr high ramp. There will be several upstream obstacles on both sides of the river. To finish the race, the athlete must touch the banner on the rock in the left eddy below golf course. Each athlete completes 2 laps with the fastest lap time counting. Giant Slalom (Pro’s): Starts from above the Hill Turn rapid on the river left with the seal launch ramp. There will be several upstream and downstream obstacle gates on both sides of the river. To finish the race, the athlete must touch the banner/gates on the rock in the left eddy below Hill Turn rapid. Each athlete completes 2 laps with the fastest lap time counting. Boater cross: The top 32 athletes from the Sprint and Giant slalom events (combined time) will qualify for the pro’s Boater Cross. There will be heats of 4 kayakers. They will compete on a course with several upstream gates finishing at the banner in the river left eddy below golf course. The top 2 from each heat will move onto the next round and so on. The top 4 athletes will qualify for the Super Final round and battle for the Boater Cross title. Best Indian paddler of the year award: Top 4 Indian athletes will qualify for this category based on a combined ranking from the Sprint, Giant slalom and Boater cross and will battle for the honor. When the start signal fires the athletes will swim from river right above golf course to river left and get in their kayak on the ramp and sprint down to the finish line (same race course as sprint). Boater Cross super finals (same race course as boater cross). Intermediate/Beginners (Open Category): Starts above the tee-off rapid with several obstacles and gates/banners to the left eddy above the ramp. Finishes with touching the finish banner. Athletes will have 2 laps each. The fastest 4 athletes will qualify for the boater cross super final. Boater cross super final will start with the seal launch from the 6mtr high ramp all the way to the finish line below Golf Course rapid. There will be no gates for this category. Junior (Open category): Starts above the tee-off rapid to the left eddy above the ramp finishing with touching the finish banner. Athletes will have 2 laps each. The fastest 4 athletes will qualify for the boater cross super final. Boater cross super final for this category will be on the same race course. There will be no gates/obstacles for this category. Women’s (Open category): Starts above the tee-off rapid with several obstacles gates/banners to the left eddy above the ramp finishing with touching the finish banner. Athletes will have 2 laps each. The fastest 4 athletes will qualify for the boater cross super final. Boater cross super final will start with the seal launch from the 6mtr high ramp all the way to the finish line below Golf Course rapid. There will be no gates for this category. Mass boater cross (for all): Athletes will start together from above the Golf Course rapid. It will be a Le-mans style start. Once the start signal fires the athlete will need to run over, enter their kayak, put their spray deck on, and sprint down to the finish point under the Brahmapuri Bridge on the left. This is a 2 km long race and there will be no gates for the Mass Boater Cross. 2. Athlete must be a solid class 4 kayaker and a competent white water swimmer. 3. Kayak should not be more than 3 meters long. 4. Each athlete has to complete 2 rounds of the Sprint. 5. 50 seconds penalty for missing/gates. 1. Minimum age of 18 years old for Intermediate and women category. 2. Minimum age of 12 -17 years old for junior’s category. 3. Athlete must be able to Eskimo roll. 4. Kayak should not be more than 3 meter long. 5. Athlete must be a good white water swimmer. 6. Each athlete has to complete 2 rounds of the Sprint. 7. 50 seconds penalty for missing/gates. By Air: Delhi is the capital of India and has an international airport; from there it’s a 6/7 hour drive to Rishikesh. Jolly Grant Airport is the nearest Airport to Rishikesh, situated at a distance of 21kms. Taxis and public transport are easily available from Jolly Grant Airport to Rishikesh. Jolly Grant Airport is well connected to Delhi & Mumbai with daily flights. We asked Bhupendra Singh Rana (Bhupi to his friends), GKF Founder and President, for his thoughts on this year’s event and the Festival on whole. 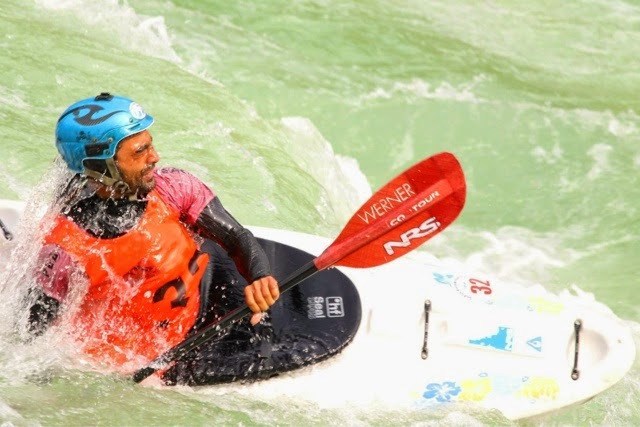 “I’m so glad to see how fast the Indian whitewater kayaking scene has grown in the past few years,” he said enthusiastically, “and I can’t wait to see where this festival will be in the next 5 years! We hope to turn this into a week long festival with multiple adventure events and make it the largest adventure festival in Asia. 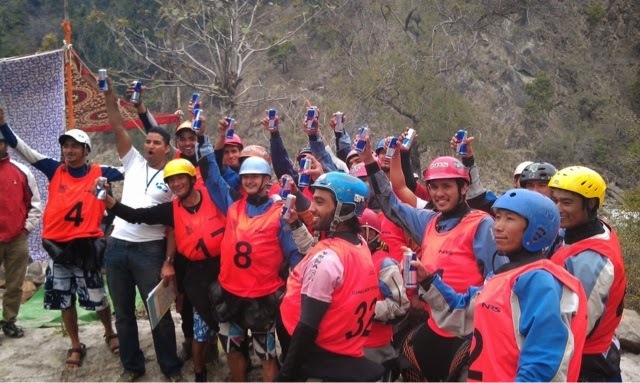 We have already started planning to add new events such as rafting, mountain biking, paragliding, SUPING, river boarding to the festival in the coming years. I know it’s possible and I believe in my team, sponsors and volunteers. This festival was a big dream of mine to see it actually come to life is amazing! I owe a huge thanks to the entire team GKF, the local river community, volunteers, sponsors, media and spectators who made this a reality.” We here at DBP MAGAZINE ONLINE, and your fellow Dirtbags all over the world, are just as stoked! Cheers! !